Anyone who's been to veterinary technician/nursing school knows how much work it is. We learn so many new skills but when we get out into the "real world", many of us get stifled. So I don't think it's a surprise to anyone that a huge reason vet techs don't last in the field is that they feel they are under-utilized. I hear about this more and more and it got me thinking, why? Utilizing your technicians to their full potential not only gives them more confidence, it also portrays to your clients that they are an important and respected part of your team. But unfortunately for a large number of vet techs, this isn't the reality. We recently did a (very un-scientific, mostly just for curiosity's sake) poll on our Facebook page asking if technicians felt that their opinions were taken into consideration in their workplace. Almost half said no. HALF. Think of how many awesome and creative ideas have been overlooked on because their presenters were discounted. How many conference hours and CE credits have been wasted because the nuggets of knowledge brought home from them are dismissed because "we've always done it this way". There's no doubt that when you're heard, you feel more valued. Another area where vet techs are often under-utilized is not being able to use those skills we all worked so hard to perfect. It's one thing for a tech to ask for help with a blood draw, catheterization, or intubation, but it's another for a vet to just automatically do it themselves without letting their nurse even have a chance. Plus, the vet could be doing more "vet" tasks if the tech is doing "tech" tasks; maybe everyone could get a lunch? Too often, techs are not used for what their role really should be. When it comes to daily work around the clinic, technicians often spend too much time doing things like scanning documents or mopping floors. There are so many other options, like going digital and hiring a kennel assistant, for example. What would techs do if they weren't scanning or mopping, you ask? Well, what are they good at? Maybe it's writing (get them to pen the clinic blog or newsletter). Maybe it's anesthesia (encourage them to take CE courses on the subject). Perhaps they're a millennial with a knack for creating social media buzz (let them run your accounts!). Are they outgoing and good with the public? Don't stick them in the back lab area all the time, let them be client educators! Utilize them not just for their job title, but for where their talents lie and what they enjoy doing. I believe that if a technician is utilized properly, their practice will be more efficient and more profitable, and their team happier overall. 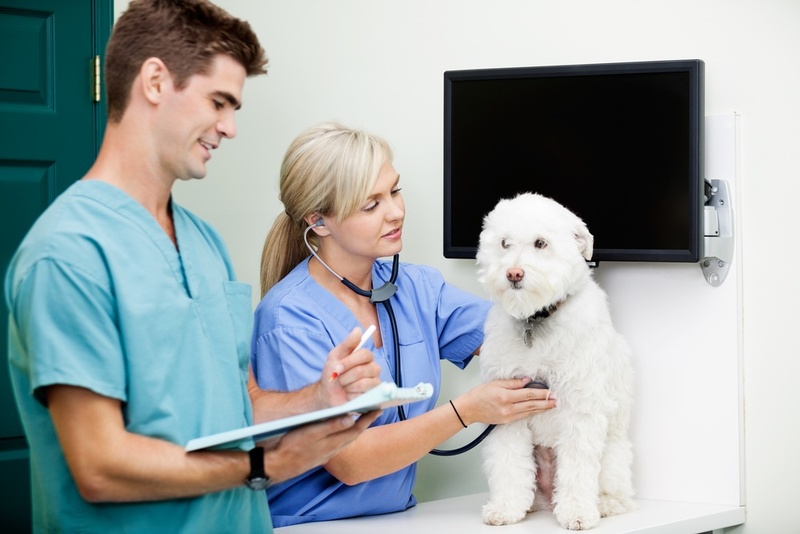 If you're a veterinary "boss", be it a manager, practice owner, or someone else "in charge", please consider reviewing the role your technicians play in your practice. Maybe you're already utilizing your staff to their full potential, but if not, it's something to look at. And if you are a technician feeling under-utilized, bring it up to your management. When they have a stellar social media campaign bringing clients in and improved surgical times because of one of your fab ideas, they will thank you!